Pronounced and High scoring in Protection! 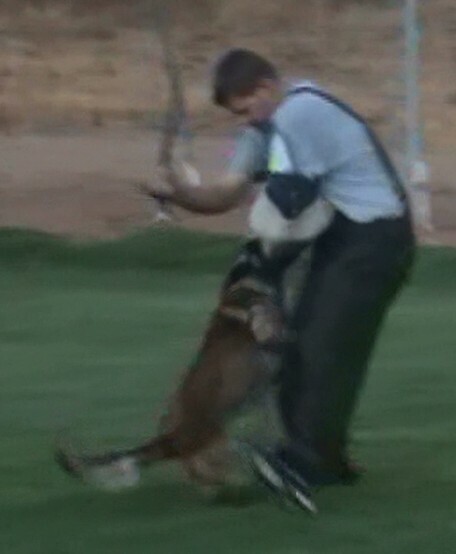 After his fun in the shown ring Titus decided he also LOVES Schutzhund! The grainy pictures were taken off video. 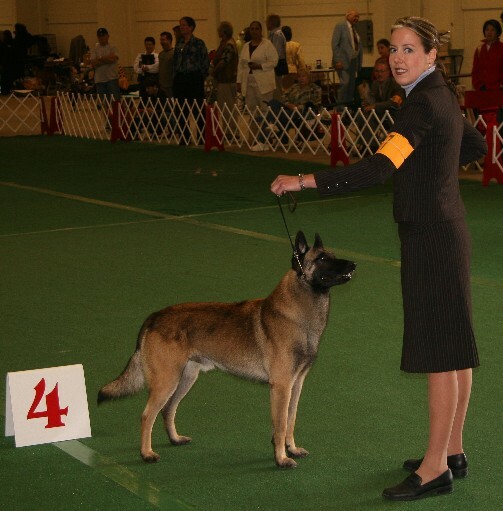 Spring 09 - Titus and Holly earned their CD, and they were getting ready for Open obed in the following months but a Job change for Holly took away much her training time and almost all her trial time. Titus is now retired. 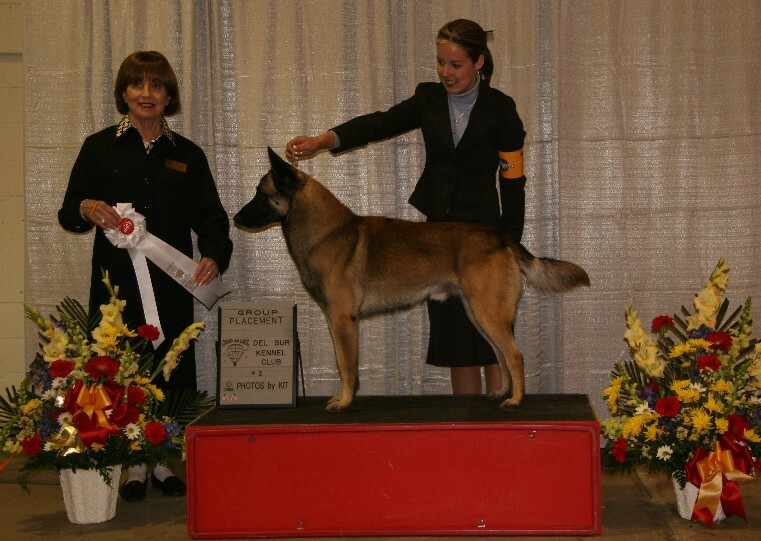 Feb 13 2007 - Congrats to Titus and Holly for his BOB Win at the Westminster Kennel club dog show and for his fantastic showing in group ring, go daddy Titus! 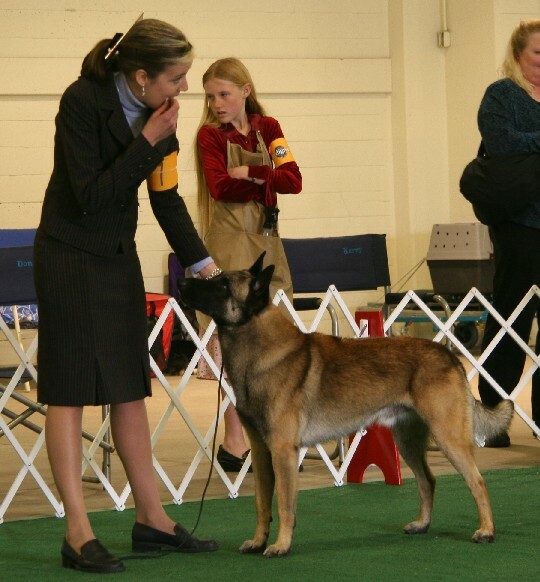 Dec 3rd 2006 - Congrats to Titus for his BOB Win at the AKC invitational at Long Beach! 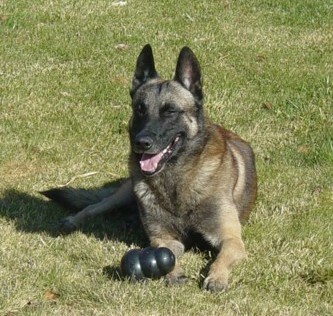 I met Titus in 2004 and was so impressed with this happy, social, waggy, ball crazy attitude just brimming with confidence. 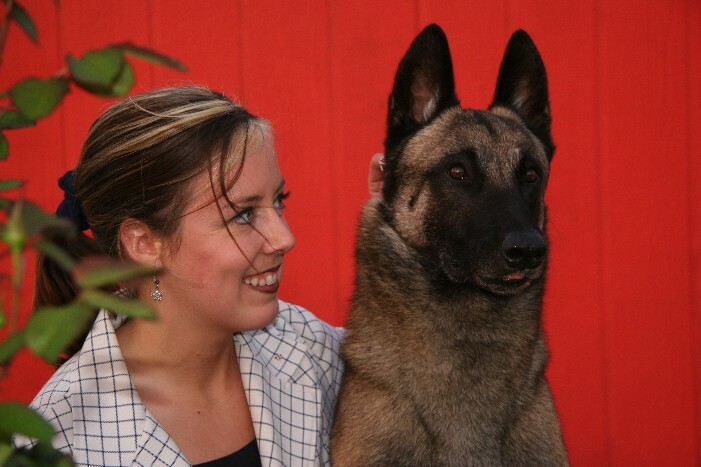 There is almost nothing I didn't like about this dog! But he didn't have any puppies on the ground and I was not planning any future litters at that time. 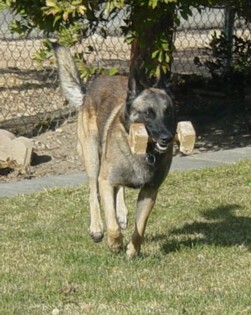 That changed March of 2005 Souvenir Malinois had the first litter with Titus. Lucky for me most of the puppies are in the Pacific NW 2 of them in show performance homes and 3 in SAR/show homes! 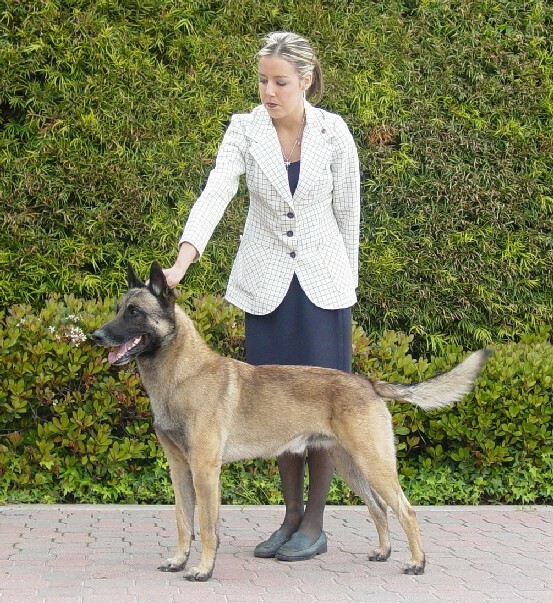 The pups have great breed type and wonderful temperaments - 4 are now finished, and 1 other has her major conformation wins. 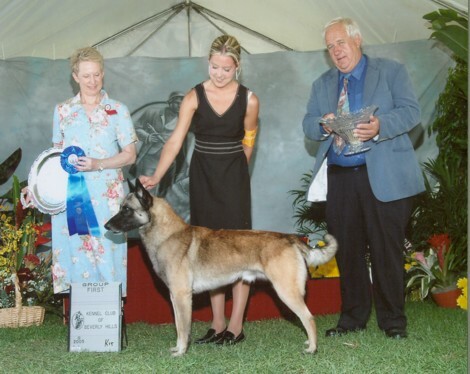 Titus cleaned up in the show ring in the South West from late 2004 and through early 2007. 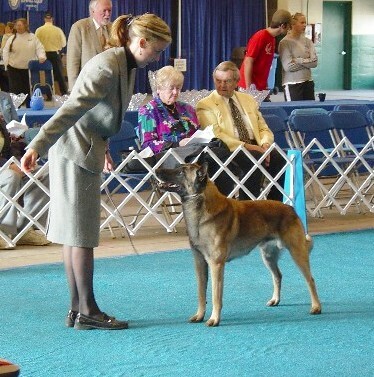 His last trip to the specials ring was WKC 2007 where he was BOB as he had at Eukanuba at Long Beach. 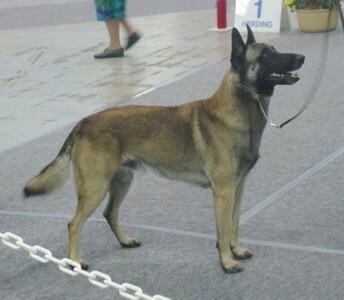 He won Eukanuba and WKC w/in 3 months and Holly figured that was a great place to stop. 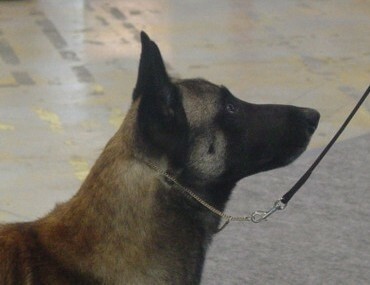 At that point he was retired as the number one Malinois All breed in 2006, and had been number 2 All breed in 2005. 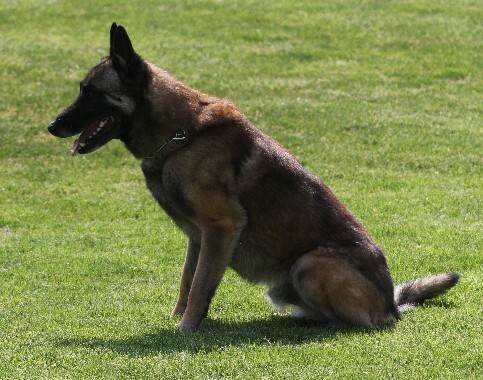 While Titus is retired from the Specials ring, he can be found out at the Schtuzund field, or the obedience ring and from time to time he will be found in the Veterans class, he really is a HAM in the show ring and LOVES it! While I did not chose him because of his show record, it was pretty impressive! 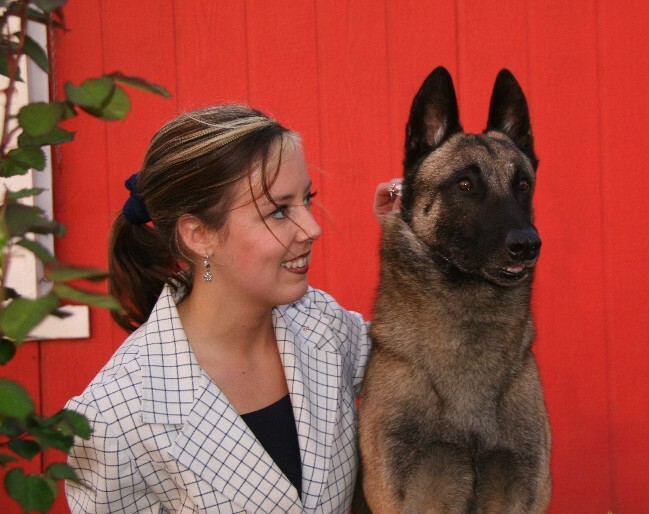 Click here to see how Titus did in the breed and group rings in 04, 05 and 06! 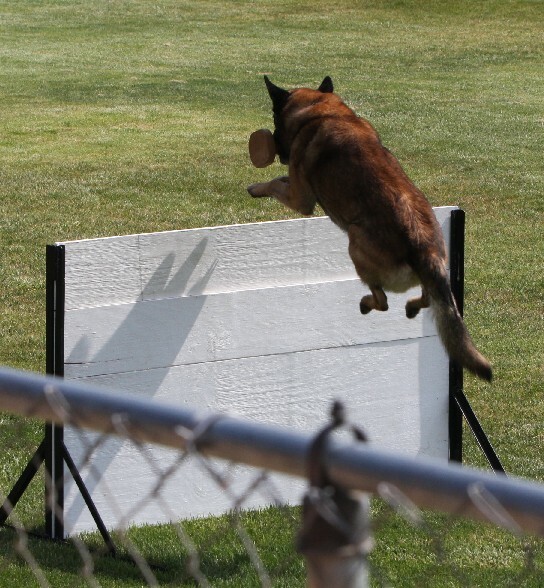 Titus has full brothers with impressive resumes in both the breed ring and obedience and a ½ sister that has set records for Malinois in the show ring. 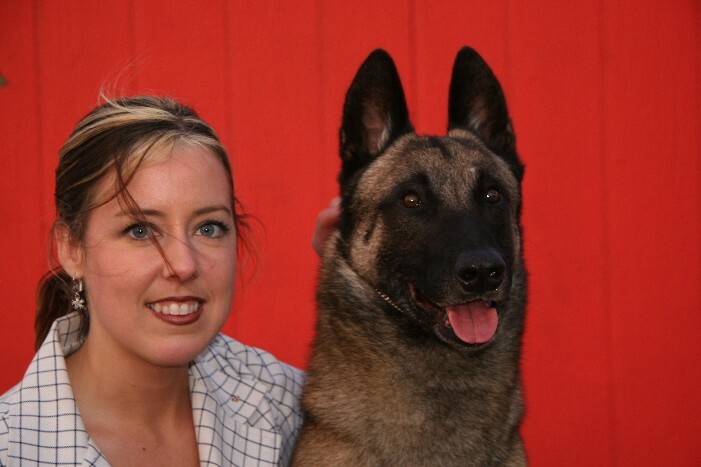 For more information on the accomplishments of these dogs please do ask! 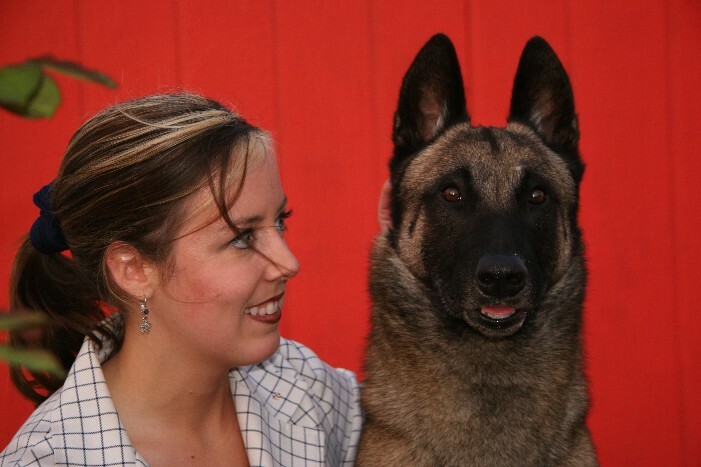 I'm grateful for to Holly for letting me use Titus in my breeding program. 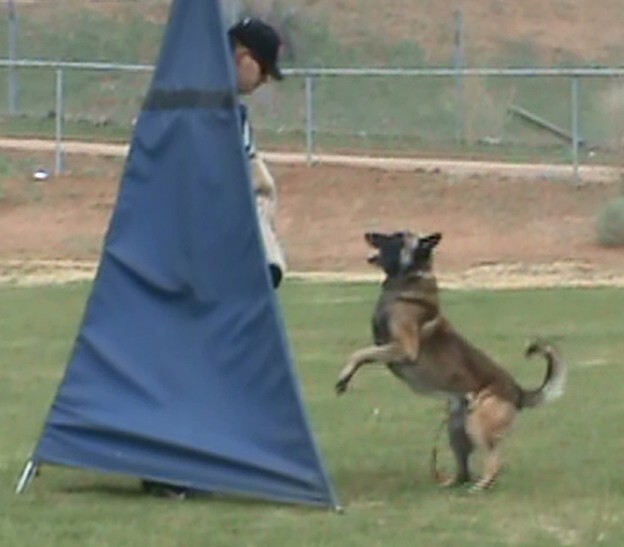 He is such a cool dog, and since his retirement from the Breed ring he is been training in Sch and obedience. Titus is once again visiting at my house, I can't express how much I like this dog. 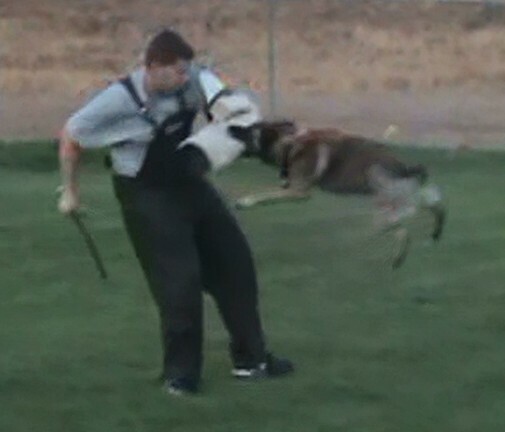 Toys obsessed, easy to train I'm working on his Open obed while he is here for a visit to see "Star" we are having a blast and while maybe I'm bias, I think the malinois world needs MORE dogs like Titus. wagging his tail as usual!